The cocoa beans grow inside large pods which contain a pulpy white fruit. In order for the chocolate flavor to develop the beans must ferment in their fruity covering. 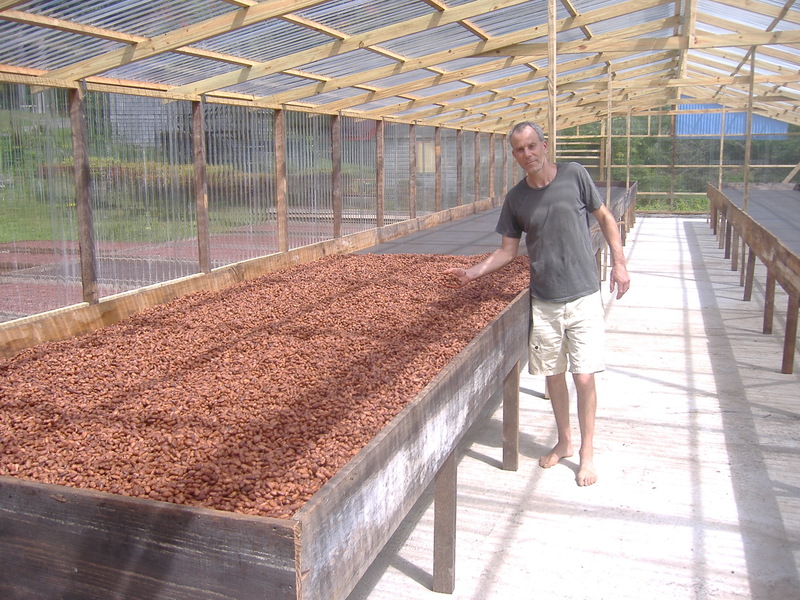 This fermentation process creates the very complex flavor of chocolate but no alcohol remains. 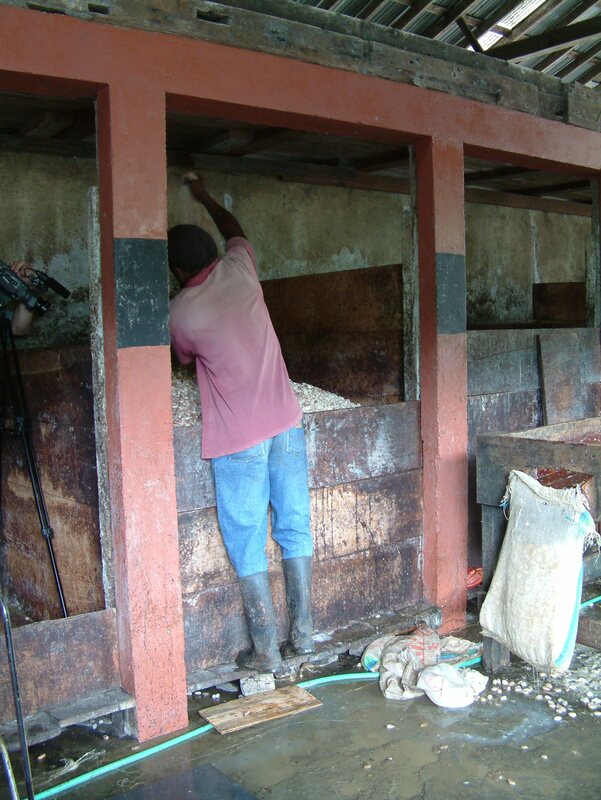 The fermentation is encouraged by placing the fresh “wet” cocoa in a wooden box covered with banana leaves. Mixing and moisture adjustment are performed daily for about 6 days. The proper drying must be implemented immediately after the fermentation period ends for successful flavor development. We dry our beans naturally using the sun and breeze. 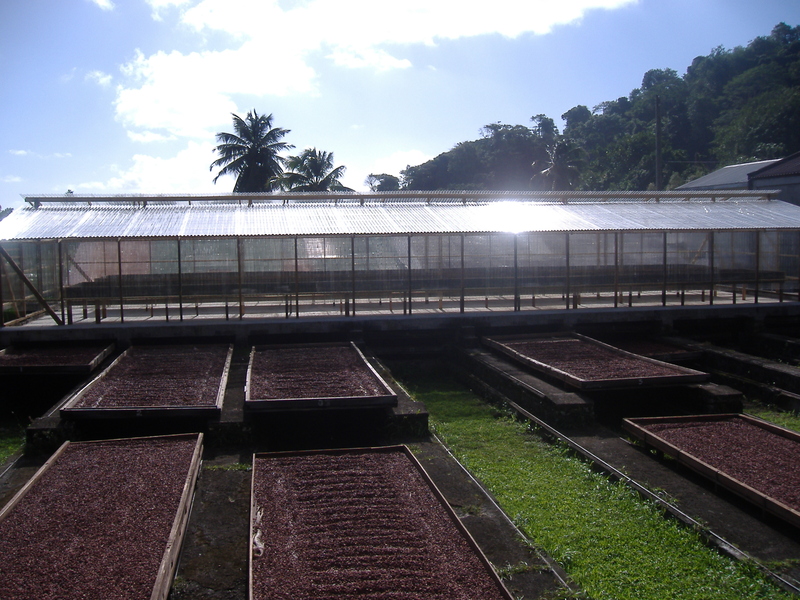 Here in Grenada, right where the cocoa grows, we have a distinct advantage over most other chocolate-makers in that we can do our own fermenting and drying. 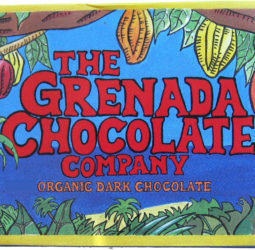 This allows us to determine how to achieve the best and most interesting flavor spectrum from our beans, one of the delicious differences of GrenadaChocolate.